The Division of Medical Physics & Technology seeks to lead the world in providing high value radiotherapy through technological developments that increase quality and clinical processes that enhance the experience of radiotherapy for patients, caregivers, and radiotherapy professionals. In addition to the day-to-day support of clinical operations, we are committed to the following strategic initiatives to advance the field of radiation medicine. All radiotherapy patients present with unique anatomy, and this fact represents the main challenge to standardization and automation of the radiation treatment design process. 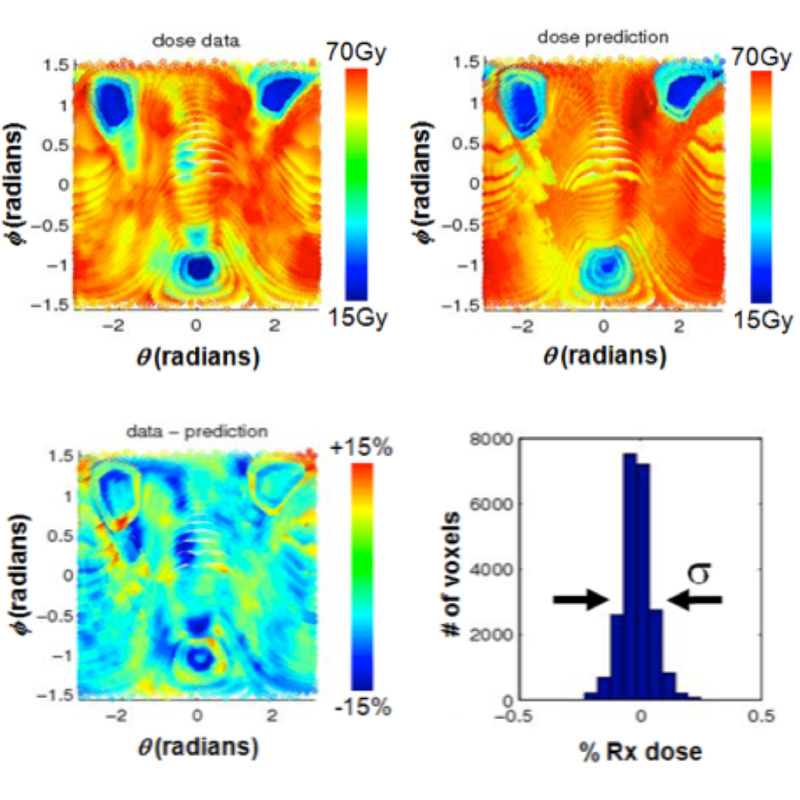 Knowledge-based planning is a technique that utilizes multiple prior patient treatments to develop mathematical models that can make patient-specific predictions for achievable, high quality radiotherapy solutions. The most important impact of this work is in the elimination of sub-optimal radiotherapy treatments, but knowledge-based planning can also increase clinical efficiency through direct automation of the planning process itself. Clinical medical physicists today need to learn from the history of radiation oncology and find new ways to utilize their unique skillsets to have a meaningful impact on patient care. First and foremost, clinical medical physicists must move beyond the idea, and common perception, that they only work behind the scenes to ensure the successful delivery of treatment. Instead, they should work to establish an independent role in direct patient care, thus facilitating the development of more impactful innovations and initiating new clinical collaborations with radiation oncologists. Maintaining the highest level of quality assurance (QA) in radiation oncology remains one of the most important duties of the medical physicist. However, much of what is currently done for routine QA is a vestigial to previous eras and is not tailored to modern hardware and software systems. In this Division Initiative, we are rethinking the QA edifice from the ground up with an eye towards eliminating low value or redundant quality checks while redesigning new systems to that will best deploy constrained resources.